In April 2011, a tornado hit Walker County School District in Walker, Ga. The seventy-mile an hour not only left damage in the area but also wiped out the data in the district’s technology center. The recent rebuilding of the technology center now includes a new firewall system, Watchguard Technologies. Watchguard Technologies is a firewall system that encourages the usage of mobile devices in the classroom, but helps block certain social media sites for students. With twenty sites available to the 9,300 students and 1,500 staff, Watchguard Technologies can monitor sites such as Google, Yahoo, and social media sites. Teachers still have full access to these sites, but students will see increased blockage of social media sites such as Twitter, Facebook, YouTube, and Instagram. Many teachers all over the country use websites such as YouTube specifically in science classes such as Physics. English teachers also use these sites to have certain passages such as “Julius Caesar” by William Shakespeare to help with the pronunciation of older texts. With the increase of blocked sites, test scores have increased in the Georgia school district. Because all the focus is steered away from popular sites, students can focus on the subject at hand. This is very common with other school districts across the country, such as Spring Branch Independent School District in Houston, Texas. Popular web sites such as YouTube and Facebook are blocked on the campuses. School districts should follow on this pathway because this current generation is too dependent on the need of social media that the importance of good grades is lost. Teenagers spend an average of seven and a half hours a week on social media, compared to the average five hours a week studying for exams. If school districts implemented this firewall to their internet, there test scores would increase significantly. Children all across the United States have seen education grants within their communities. As a result, many children in grades K-12 can now experience the benefits of technology every single day. With these grants all around the country, elementary school children can now have one-on-one time with iPads and computers. Because the technological learning curve is so great, it is extremely important for children to be constantly using these items. Charter high schools now have the ability to have each student rent a laptop for the year, regardless of their financial background. This has decreased the manual workload of teachers therefor creating more personal time with students. This one-on-one time has statistically increased grades in schools all across the country. This is also a relief for students how cannot afford an at-home computer. The readiness of these laptops makes it easier for these students to complete their assignments without as much worry. For educators, items such as electronic gradebooks also make the physical workload easier. With the decrease in workload, it allows more instruction for students. The increase in LCD projectors also makes it faster and easier for teachers to provide knowledge to their students on a much larger scale. With the popularity of YouTube videos and Google maps it is easier for children to visually understand the world and the way it works and looks like. Because these projectors can be linked to the teacher’s computer, websites like Discovery Earth can be accessed and displayed to their students. Music teachers have also benefitted from the increase of music technology. One’s iPhone can hook up to any stereo system making it easier than ever to provide music for a class. There are also millions of apps that also can aid to learning such as apps for music, writing, math, reading, and design for creativity. All of these apps make it more fun for students to learn and easier for teachers to provide material to their students. These new systems also allow for students to be more creative because of its included features. Apple products are known for their advanced design applications, so why not introduce these programs to younger students? Because the technology curve is so vast, it is so important to expose the youngest generation to the newest available technology. “They will melt your brain away”, a mother says to her children as they spend all their free time after school playing video games. Parents everywhere often nag their children about their video game usage. Children all across the country hear these saying. However, in schools across America, video games and apps are becoming more wildly used in their curriculum. It isn’t necessarily playing the games themselves that is the issue, but the content of the games. Games such as Grand Theft Auto and Call of Duty aren’t necessarily the best games suited for a sixth grader. If developers change the content, then the result will be different as well. Researchers are developing role-playing computer games to help stimulate social interaction, increase work performance, overall happiness, and just fun overall. At the University of Wisconsin-Madison are developing Crystals of Kaydor, a role-playing video game about aliens. Crystals of Kaydor is a game where you are stuck on this planet, and are trying to recover all your lost equipment with aliens that do not speak your language. Learning facial recognition is key to the game, and it is something that adults even have a hard time understanding. Teaching these children how to understand facial recognition is an extremely important skill to obtain because it increases social skills needed for the “real world”. This generation of children already spend most of their days using these video devices whether it be iPhones or Xboxes, so if researchers change the content of the material both kids and parents can be satisfied. Because video games are extremely interactive, it is so easy to have educational material be the subject matter. Future careers also will be more technologically based, so it is extremely beneficial to have these children learn how to work these new technological devices. With the way that the world is evolving from the constant advances in technology, it is becomes more and more significant to be more tech-savy especially with multimedia. Libraries all over the country have added technology and media workshops to their calendar of events. Because of the positive results, more libraries continue to add these workshops to their calendars. Early this month, Free Library of Philadelphia has added new opportunities for its middle and high school audience to learn how to properly use multimedia such as photography, Power Point, video, and designing websites. There is also hands on learning for younger children so they to can learn the ways of the future. The Free Library has fifty-four branches in Philadelphia and half of those branches are including these multimedia labs. The library has added these technology services in hopes of better preparing their students for college and other forms of higher education. In Chicago, YOUmedia was created for students to learn how to record and produce their own music. These projects are student-driven and provide the opportunity for students to access the equipment needed for such projects. YOUmedia has expanded to five libraries in Chicago and one in Miami. Hundreds of students have participated in these programs because they are often free for students to use at their disposal. Many of these libraries are in urban neighborhoods so many students have the opportunity to use equipment that they might not have otherwise had the opportunity to use. Students are also gaining lifelong skills that they can use in future jobs and everyday life. Also, because they are utilizing their creative sections of their brains, it can be seen as therapeutic as well as informative. At the Carnegie Library of Pittsburgh, workshops have been installed in hopes of students doing more hands on as opposed to a traditional classroom setting. Having students become more hands on increases the amount of overall learning on the subject. Elementary and middle schools have also paired up with libraries. Many students already use local libraries for studying, hanging out with friends, and using their available technologies especially now with a multimedia program installed. Many of these libraries can create these workshops because of local grants in their area. Such as the John D. and Catherine T. MacArthur Foundation in Philadelphia, which helped fund Free Library’s after school programs. These programs are extremely beneficial for those who utilize it. They are giving many students the opportunity to operate multimedia equipment that can be seen in their future jobs. These library programs should be implemented national if people want the future generation to be educated in how to operate multimedia. Imagine a world without photos, the dullness of having a world that lacks a visual element. Photographers often get the start by shooting at a very young age. Many photographers credit their success by the training they had when they were children. Many students often pursue photography as a creative outlet. Social media sites such as Instagram has become rapidly popular amongst middle and high school students because of the visual appeal. Students often have to take classes after school or during school breaks, which often becomes extremely time consuming. Schools across the country are slowly starting to implement photography programs in their curriculum. According to Philly.com, Stetson Middle School in Philadelphia, Penn., holds after school photography lessons. Children in grades sixth through eighth learn the basics of photography from teacher Anthony Rocco. Students also have an exchange program with students in Columbia. The Stetson students take photos of their neighborhood and send them to their “photo buddies” in Columbia. The Columbian students in return send photos of their home country. Learning about different cultures is so important for a child to understand because it helps create a better understanding of global tolerance as well as gives insight about what other people go through everyday. Photography is a great way to depict this because one does not need language to take a photo. The Stetson students do not have to worry about learning Spanish to show their “photo buddies” an element about their daily life. This use of multimedia is an excellent view of the future of global communication. We live in a society that demands for visual elements such a T.V.s, magazines, Apps, YouTube, Instagram, etc. We are training the next generations to be more visually dependent of how we acquire and process information. Photography is an excellent example especially of the “digital revolution” of equipment. When middle and high schools teach their students how to maneuver photo sharing web sites such as Flickr, it adds to the potential future global communication. It is extremely important for students and teachers to embrace the need for multimedia in curriculum because that is where the world is going as far as how people communicate with each other. With the global increase of social media use with sites such as Skype, Facebook, and Twitter, the world wants to become more connected than what it was in previous decades. We can train the future generations to be prepared for this change in communication by introducing them to multimedia outlets such as photography. The earlier the exposure, the more assimilated these students will be to the future of communications. Looking for a quirky summer read? Want some hilarious characters? Need a Seattle setting to help you forget how miserably hot it is outside? Well I present to you Where’d You Go Bernadette. Bernadette is a fierce mother of protagonist Bee, crazy to her neighbors, and bizarre wife to her Microsoft-guru husband Elgie. 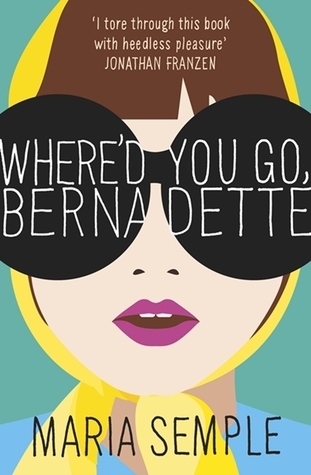 Bernadette goes missing and twelve year old Bee makes it a point to figure out where she went and why she left. The style of this novel is so interesting that it keeps you constantly reading. This would be a good summer bookclub book, and a great book to pass along with friends. I am a little biased when it comes to this movie because I watch it about four times a year. 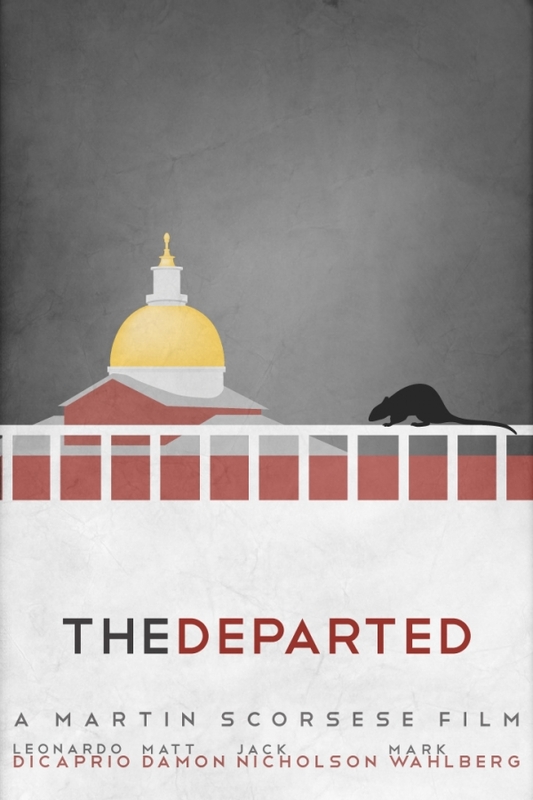 It is a typical Martin Scorsese mob movie with plenty of wit, blood, and foul language about the corruption of the Boston State Troopers. This star studded cast (Leonardo DiCaprio, Matt Damon, Jack Nicholson, and so much more) are casted perfectly in their roles. This is also one of my favorite cinematography movies shot by Michael Ballhaus, who also did movies such as Goodfellas and Gangs of New York. The plot line is confusing at first, but the last thirty minutes will have you sitting on the edge of your seat and shooting profane words to your T.V. This is a movie that should be on your “Must See Before I Die” list.